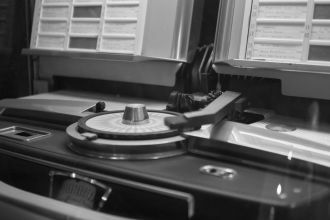 Give your customers the best jukebox they have ever seen. You benefit from the profits. Simple! 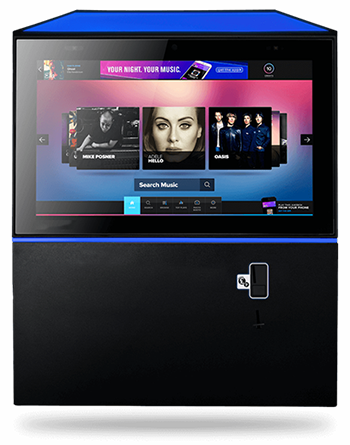 With our Digital Pub Jukebox, you'll definitely be returning a profit. With the TouchTunes app, customers control the jukebox. More plays equal more money. Always online - all the latest hits guaranteed to be on your jukebox. Unlike many suppliers, we don’t charge you for installation. Welcome to HireJukebox. We have helped hundreds of pubs and clubs across the UK earn more money by installing high-earning touchscreen jukebox systems in their venue. 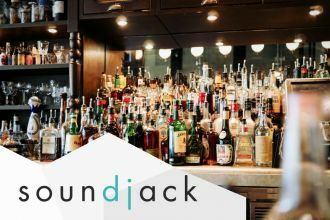 Our pub jukebox hire and our jukebox hire for clubs have never been more affordable with our flexible, no rent, no contract, profit share deals. You're just a few days away from earning more money and increasing your consumer happiness – contact us now. We can usually install within a week. As a customer of HireJukebox you can choose from our collection of digital touchscreen jukeboxes that have been manufactured by Sound Leisure and TouchTunes. Our ranges include the popular VenueHub, Milestones In Music and the brand new top of the range Playdium jukebox from TouchTunes. 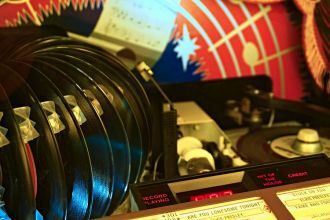 Our jukeboxes are updated online every day so customers can always find the latest chart music, as well as accessing a wide range of older tracks. 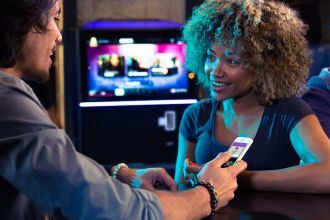 Plus, with the new TouchTunes mobile app, you can allow your customers the ability to select and pay for a song on the jukebox using their phone, bringing in more new users and more profit to you - result! by interestingly, HireJukebox, offers the very best in digital jukebox technology on a rental hire or profit share option. The diverse range of music on the jukebox certainly gives our customers what they want. Speak to one of our team and discuss your options. Arrange Site Survey. Pre-installation we discuss positioning, speakers, background music settings etc. Install your jukebox and start earning from day 1. Does my Pub Jukebox need a Licence?